Building autos has come a long way from Henry Ford's first assembly line. 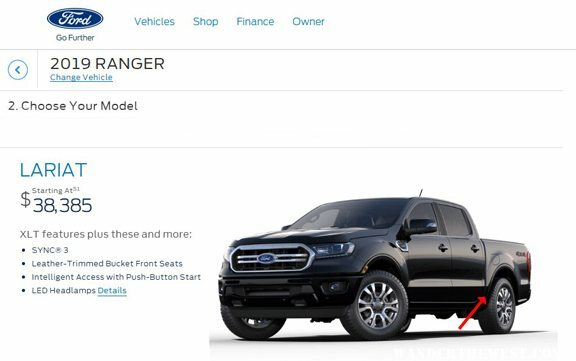 Sorry Steve, the 2019 Ranger with Crew Cab has a 5' bed, not a 6' bed. Build your 2019 Ranger the way you want it, just not a longer bed on the Crew Cab. 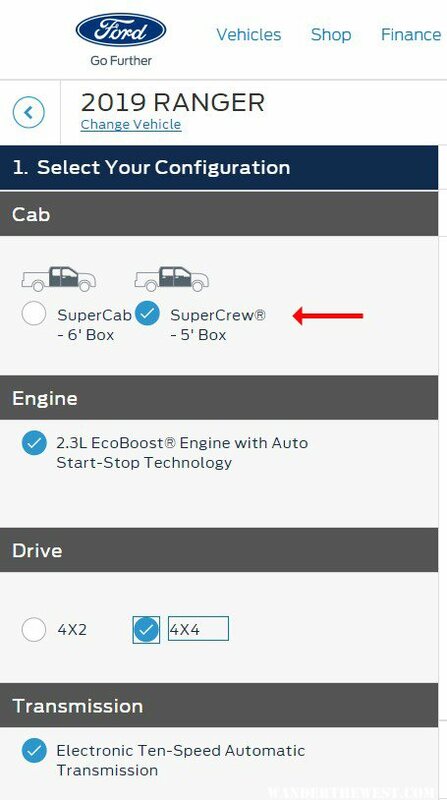 Click between the Super Cab and the Crew Cab and you'll see you get more room in the bed or more room in the cab, but, not both. P.S. if you want, change the ZIP code from mine to yours (I didn't back up enough in my web browser). Edited by Alley-Kat, 25 October 2018 - 10:49 PM. I built - on line - a Nissan Frontier yesterday and saw an option for crew cab 6' bed. Didn't order one. I want one of these little trucks to come with a supercab and an 8' box! A-K, that’s why I’m not ordering this year. W-S, you're probably not ordering for a couple of years, if ever, the way Ford is now going in their new direction. My 2007 Ranger is almost worn out. I’m at 68,000 miles already. Make it into a flat bed of your choice. Edited by Alley-Kat, 02 November 2018 - 04:05 PM.